Recently I have been getting back into the Takara ‘SF Land’ lines, Henshin Cyborg, Microman, Diaclone, and, the redheaded stepchild, Blockman. I love the interconnectedness of the 5mm-compatible lines, and how they all exist as sort of different scales of the same world. 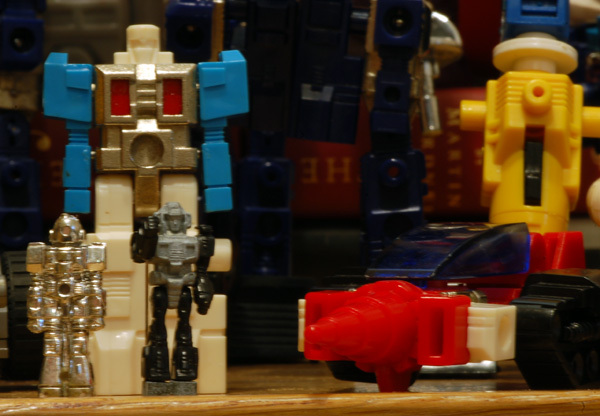 Henshin Cyborg is all about detailed character toys, Diaclone is about the interaction between little men and their massive transforming war machines, and Microman is sort of the happy medium. 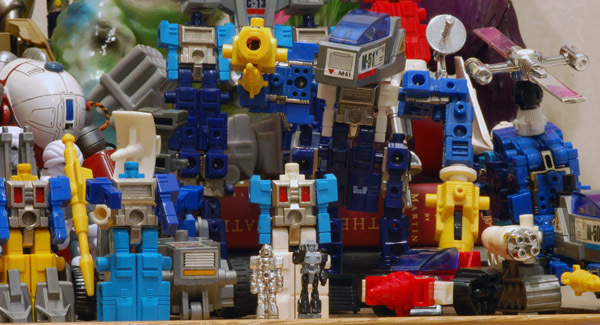 What’s funny is that Blockman, a line of build-able simple robot figures that serve as both building block and robot toy, are secretly also in Diaclone scale. The little chrome pilots that fit into Blockman cockpits are nothing more than non-posable Diaclone drivers. Awesome. 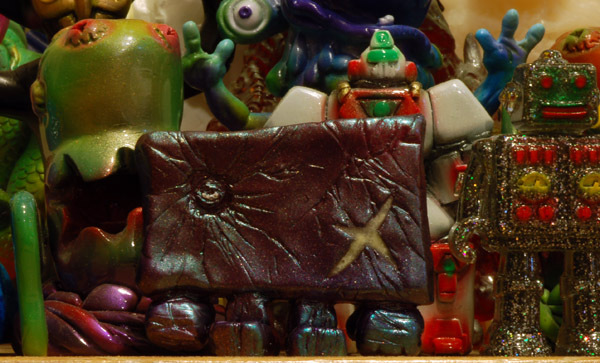 I also got this fantastic resin figure from Sharkfist Design through the Kaiju for Japan sale. This Nurikabe is a wall oni, stalwart stone defender. It is also fantastically sculpted, painted, and features a glow in the dark scar.